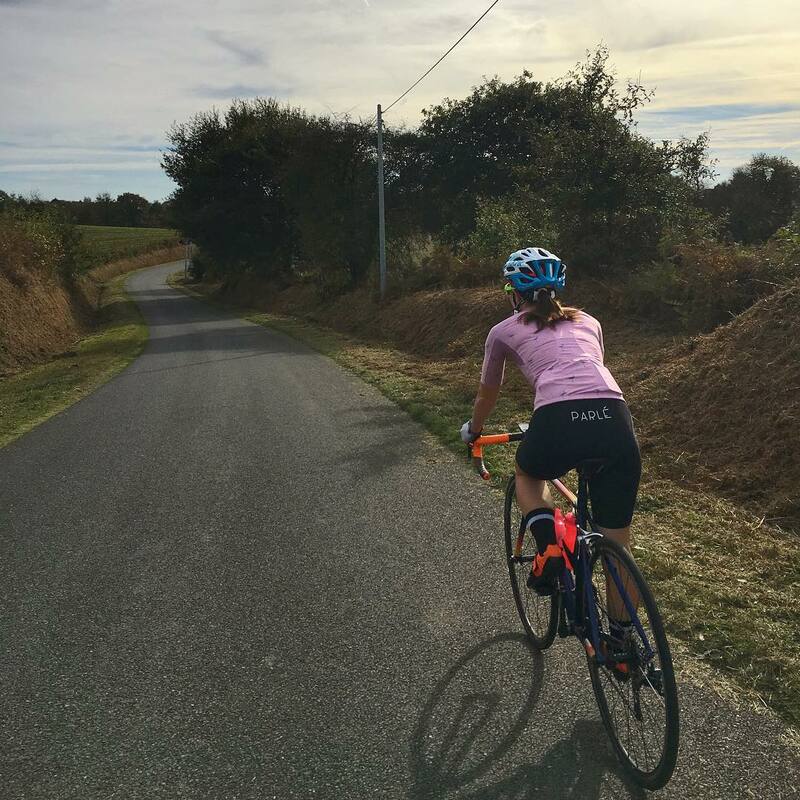 One sunny morning, Celine and her husband Daniel decided to go for a bike ride near their home in Brittany, France. The couple loves cycling and regularly go on long bike rides together. But this bike ride was different because the couple ended up bringing someone special home with them! Celine and Daniel were riding down a quiet road with nothing but forest all around them. Suddenly, they heard a screeching sound coming from the ferns on the side of the road. The two immediately stopped and ran over to the ferns. 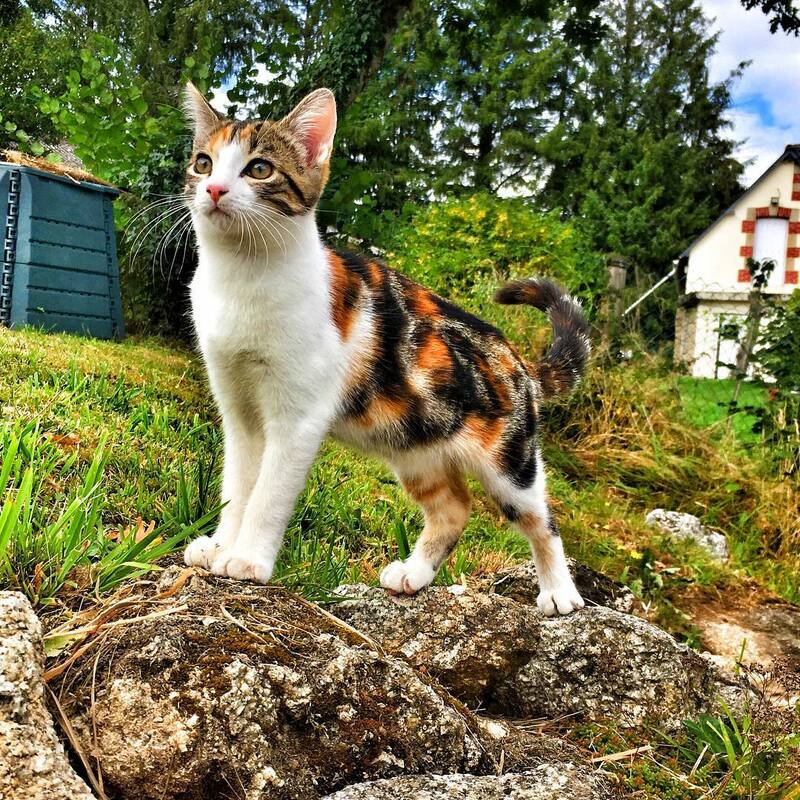 A tiny, stray Calico kitten stared up at them. The kitten was frightened, and she didn’t stop crying as Celine and Daniel approached her. Celine tried to get close to her, but the kitten backed away. 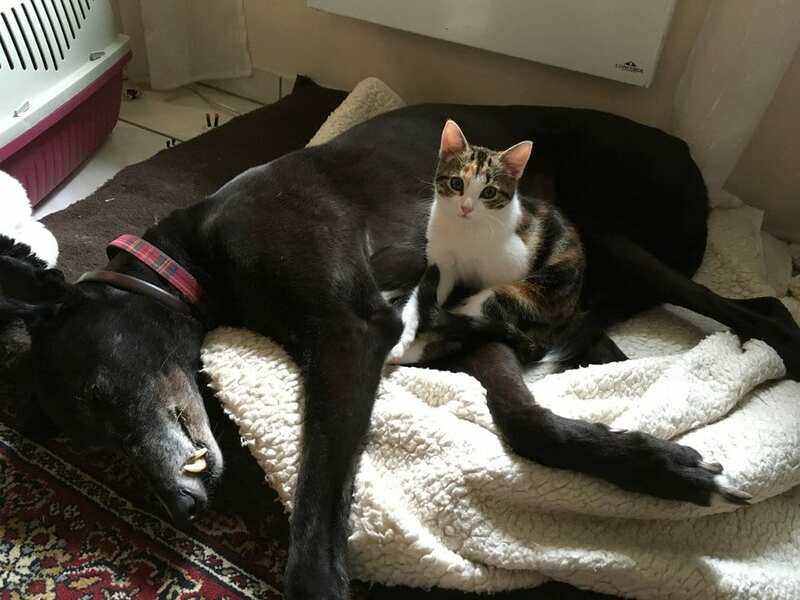 Finally, Celine laid on the ground near the kitten and made shushing noises. After a few minutes, the kitten stopped crying and walked up to Celine. Then, she tentatively started cuddling with her. Celine’s heart melted as the kitten curled up beside her. She and Daniel decided then that they wanted to take this little kitten home with them. But they didn’t have a secure way to get her home on their bikes, so they quickly went home to grab their car. The kitten cried as they left. 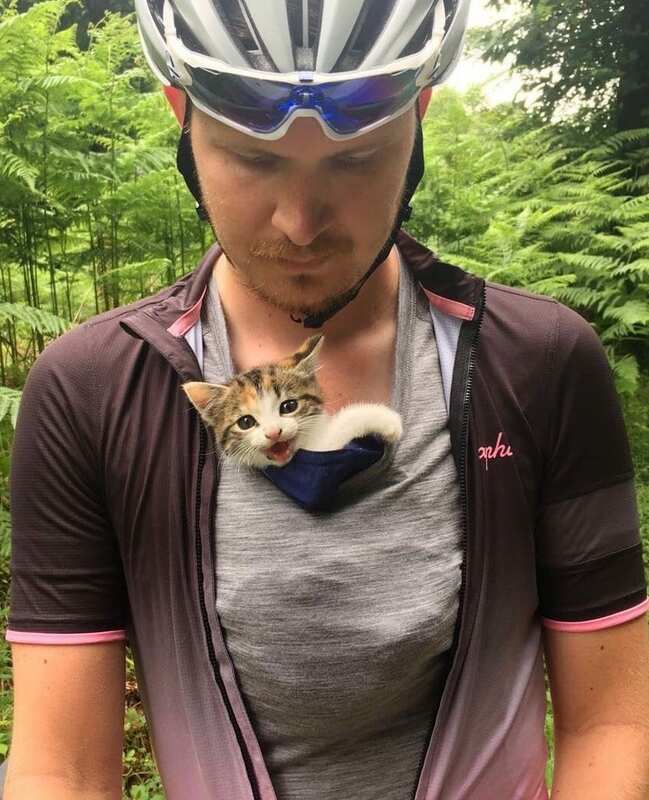 The couple biked home as fast as possible, grabbed a box to put the kitten in, and hopped into their car. When they got back to the spot where they left the kitten, Celine called for her. 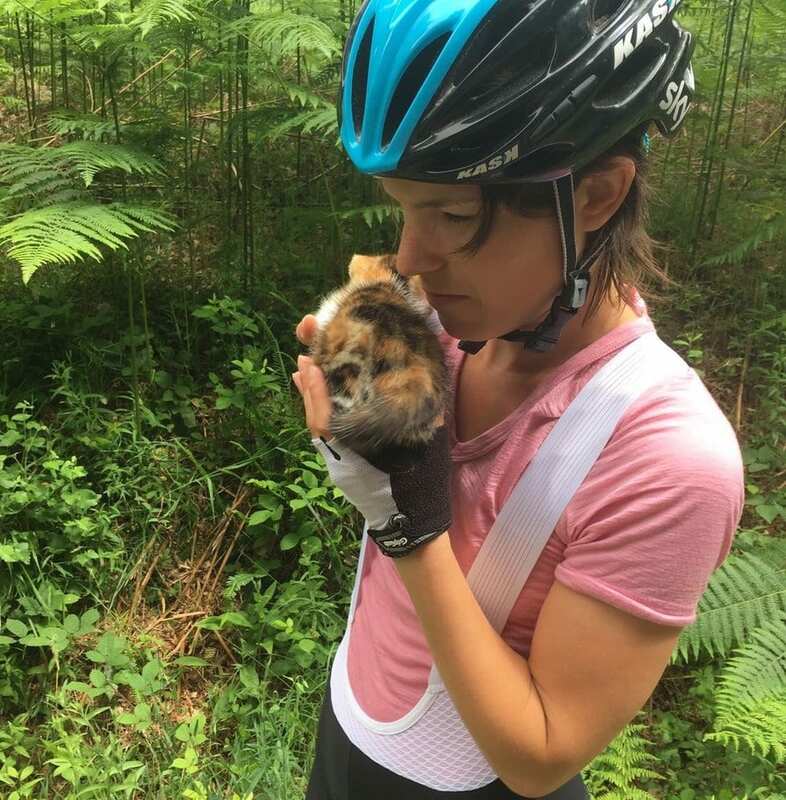 The kitten ran out of the ferns and into her arms. The kitten is now happily living with Celine and Daniel. 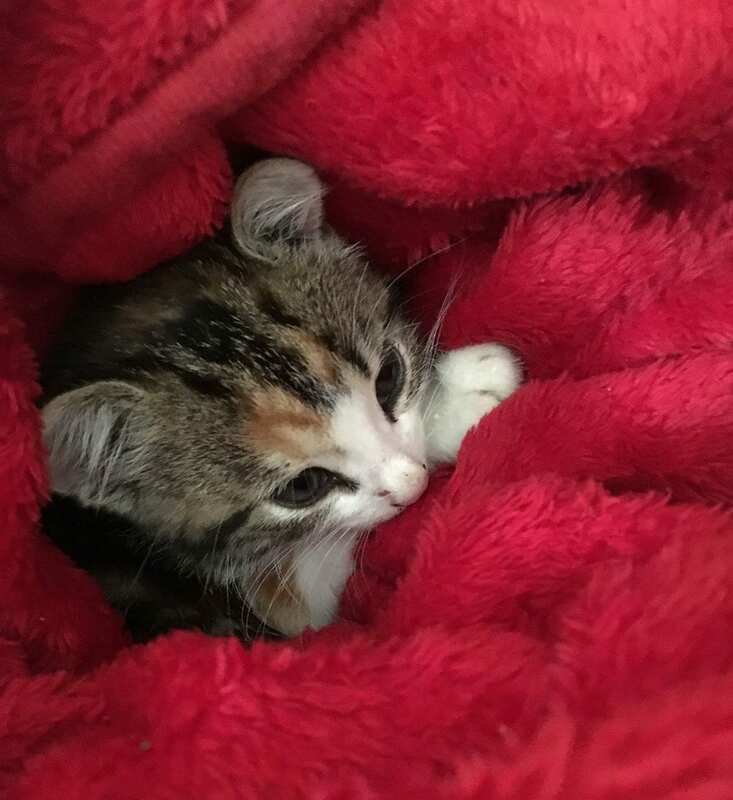 They decided to name her Mini Kitty. The kitten quickly settled into life at Celine and Daniel’s house. 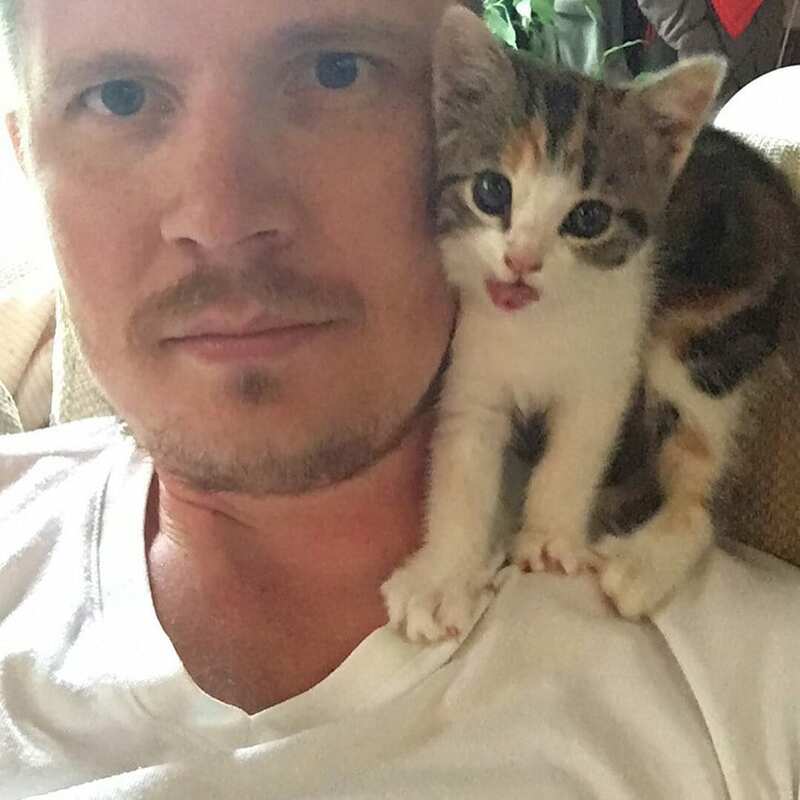 She decided that her dad’s shoulder was her favorite spot to hang out! Mini Kitty is now over a year old, and while she isn’t Mini anymore, she’s still as sweet as she was when she was a kitten. Mini Kitty is a huge cuddler—she loves curling up with Celine and Daniel, and she also enjoys cuddling next to her dog and cat siblings. Celine and Daniel are both so glad they brought this kitten home! 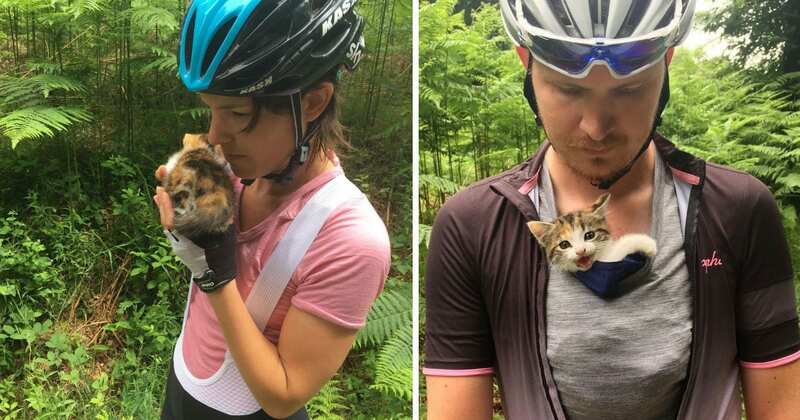 When Daniel and Celine went for a leisurely morning bike ride, they could have never guessed that they would be going home with a new fur baby. But now, they can’t imagine their life without Mini Kitty! If you want to see more adorable photos of this kitten, check out Celine’s Instagram page.